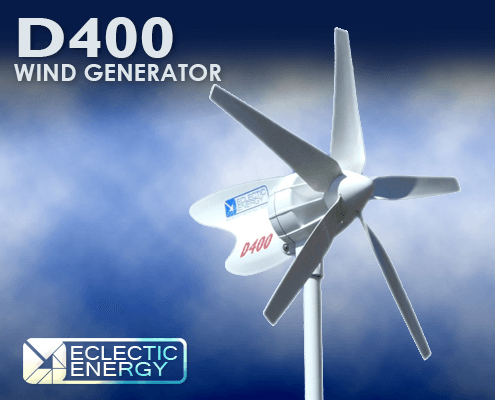 The D400 is Eclectics dedicated wind generator. 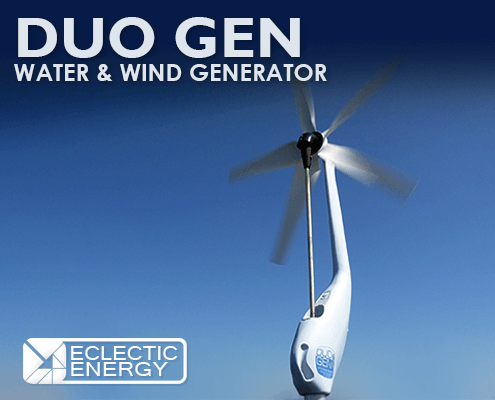 The DuoGen 3 is a combined water and wind generation system designed for cruising yachts. 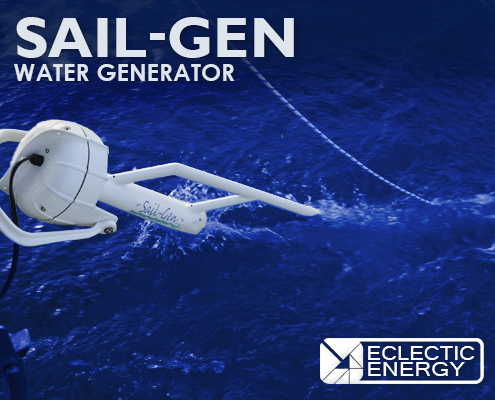 The Sail-Gen is a dedicated water generator which shares the same operating principal as the DuoGen’s water mode. 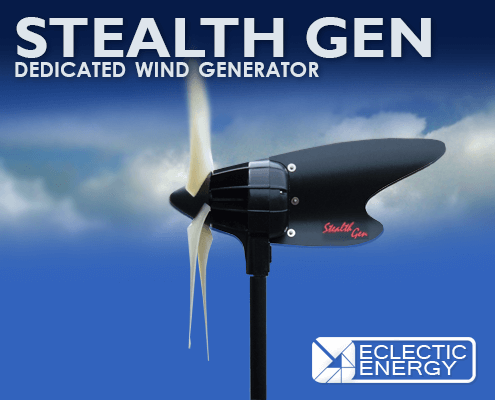 The StealthGen is a micro wind generation system which produces grid compatible AC power. The turbine is capable of installation on domestic and commercial buildings.